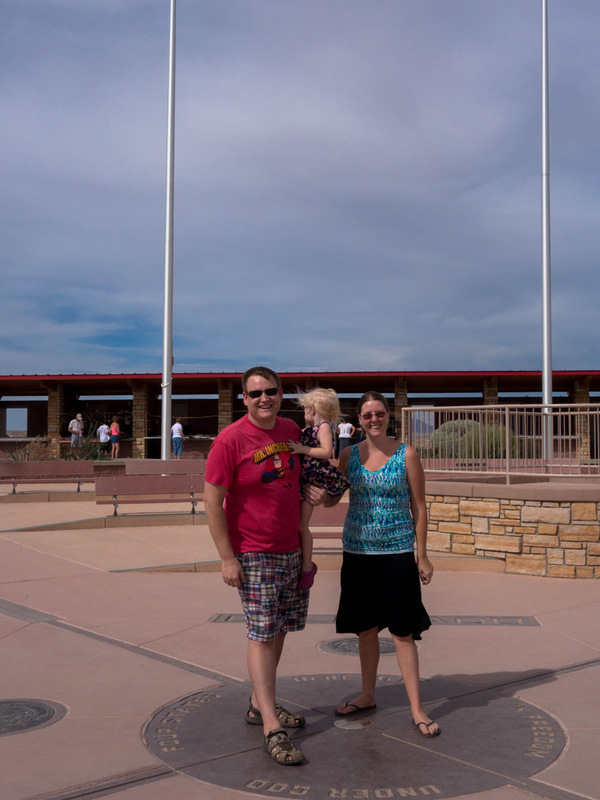 We recently drove up to Denver, Colorado from Phoenix and decided to do the trip over two-days because we wanted to see Arches National Park on the way, along with several sights in AZ. I’ll outline what we saw along the way as we headed up to Moab, Utah (our first day’s drive). We drove in June, so it was a bit warm outside. 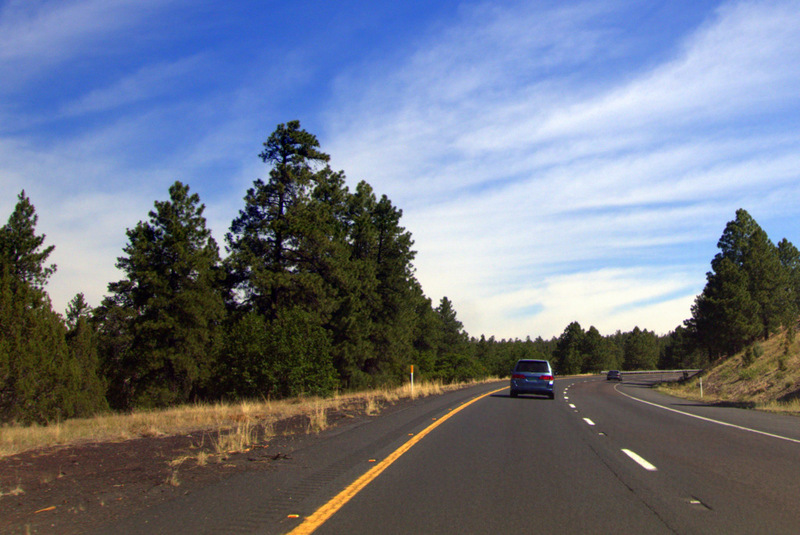 So, we set out from Phoenix at 7 am, and drove on the I-17 north towards Flagstaff, AZ. I’m planning to provide detailed write ups about each of our stops, and in this post go over some of the sights along the way. If you’re planning a drive to Denver, I strongly suggest taking this route, rather than through New Mexico. It does not add very much time, and the views are spectacular, especially when compared to the drive from Colorado Springs, CO to Albuquerque, NM. So we started from our home in Scottsdale and headed north towards Flagstaff. The drive to Flagstaff takes about 2 and a half hours from the Phoenix area, and to get there you drive straight up the I-17 freeway. Super simple. 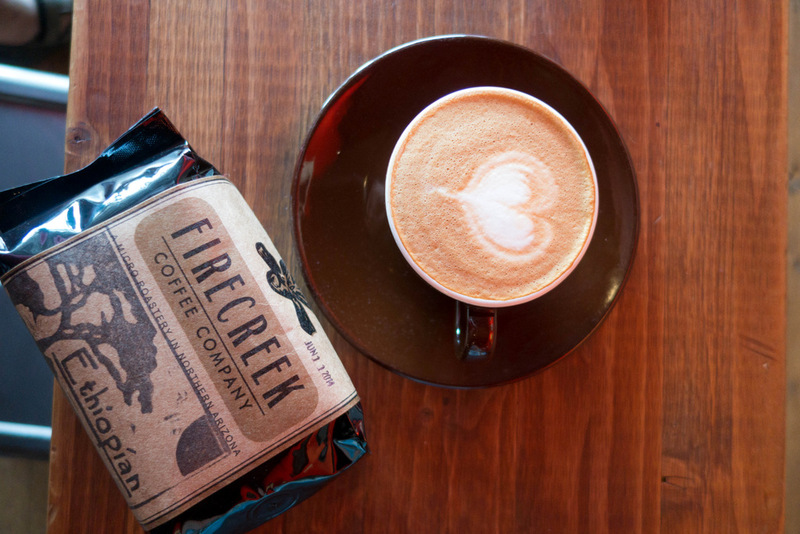 Once we arrived in Flagstaff we drove straight over to Firecreek Coffee Company because I had wanted to visit for a long time. I’ve heard really good things about this coffee shop. It’s a third wave coffee shop with owners who roast all of their own coffee, and really know coffee. We ordered a cappuccino, some coffee, and some tea. If you’ve never been to Flagstaff before, it’s a really terrific smallish college town with cooler temperatures because of the high altitude (6,910 ft high). In the downtown area there are tons of cool restaurants, clothing shops, and other shopping like antiques and collectables. About an hour-and-a-half outside of Flagstaff you’ll find Tuba City. A few miles before town, out in the wilderness, you’ll see signs directing you to some dinosaur tracks. If you are like most people, you’ll be intrigued but assume it’s a tourist trap. The first thing you should know, is that you can park for free and walk around without paying anybody anything. Seriously. There’s tour guides on site who live in the area and will happily give you a tour and show you the dinosaur tracks. We tipped our guide about $10 for her time. 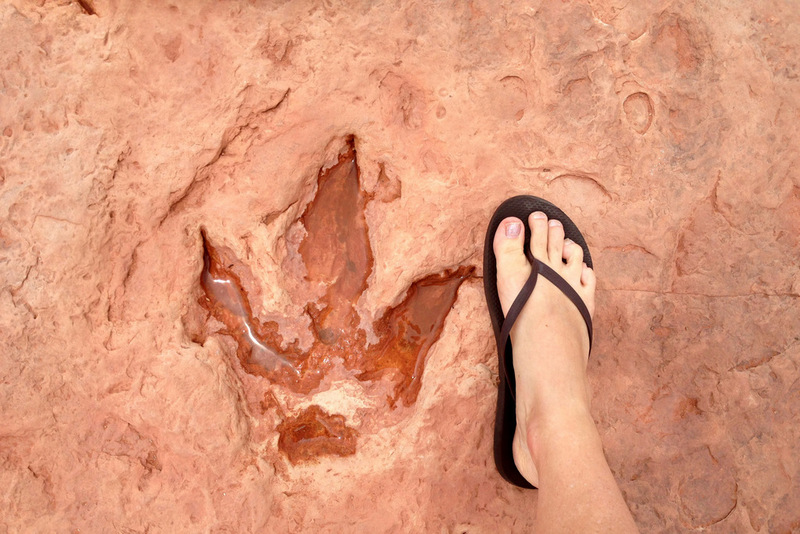 So, are the Tuba City dinosaur tracks real? The answer is yes, and no. I’ve written more about the Tuba City dinosaur tracks in a related post. Just a side note, also in this area you can see the Petrified Forest National Park. We visited the park on our return visit, which I’ve written about here. We decided to head towards Four Corners because some of the people in our group had never been there. Actually, now that I think about it, I’m the only one who had ever been there before. Four Corners is totally a tourist destination. Let’s be clear about that. It’s a point on a map, and a photo spot. That’s really it! There’s certainly some shopping you can do there (jewelry, art, blankets, shirts, hats), but beyond that — not much! The views are interesting in this area, and the drive through this part of the state is certainly going to be the most desolate of any, but it’s still very interesting with really cool rock formations, and in the distance you can usually see spires like Monument Valley. If you’ve never been to Moab, Utah, I heartily recommend this stop! 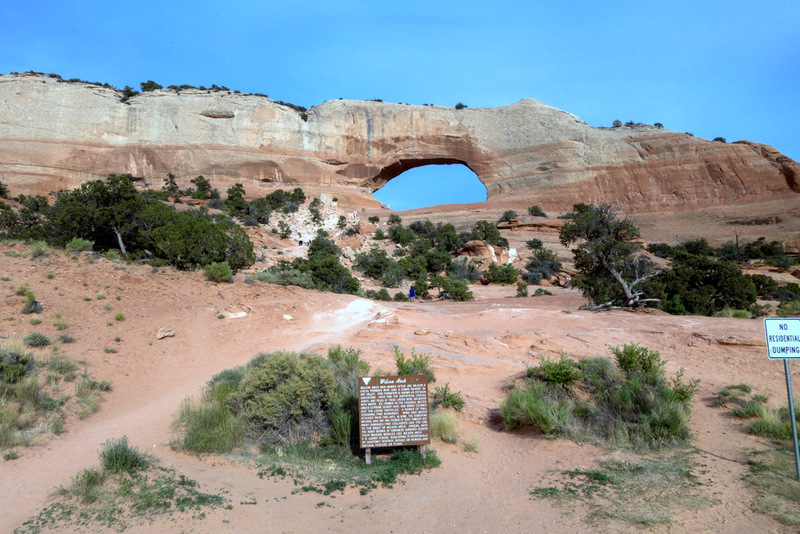 It’s awesome to see the natural rock arches as you drive through the area. You can see several arches on the way into Moab, but obviously the most are inside Arches National Park. Above: Wilson Arch which you will see as you drive into Moab. There’s a bunch of awesome coffee shops in this town, and dozens of trendy & chain restaurants. You can’t go wrong. This town has a the feel of a sports and small tourist town due to the scenic views and focus on hiking and adventure. It feels like most of the people visiting are there for Arches National Park. The park is located about 8 minutes drive (5 miles) north of the town of Moab, Utah on the Colorado River in eastern Utah. If you are going to be visiting Arches National Park, you’ll want to stay in Moab because of it’s proximity to the park. Somehow, despite being a bit of a tourist town, Moab has that small town college town feel. At least, it did for me. Most of the restaurants, hotels, and shops are located along Main Street (US-191). The town has a 5,046 population in the recent census, and so it’s growing but still small. One other reason people come to town is to visit Canyonlands National Park. Arches National Park was absolutely amazing! I know this is a web site about Arizona, and not Utah, but since it’s within a day’s drive, I wanted to share! Also, if you are like me and have a need to drive to Denver, you’re probably curious about the most interesting roads to take. I can definitely tell you that this route is more interesting than driving through New Mexico. That’s about it for our first day’s drive. My next article will cover the second leg of the trip: Moab to Denver. The drive to Denver from Phoenix takes 12 hours and 41 minutes according to Google Maps, and that sounds about right. By the time we arrived in Denver, we had driven over 1,000 miles. I’ll also be sharing details about our drive home, through New Mexico. Feel free to ask me any questions here in the comments! Thanks! We are planning to drive from Phoenix across country. 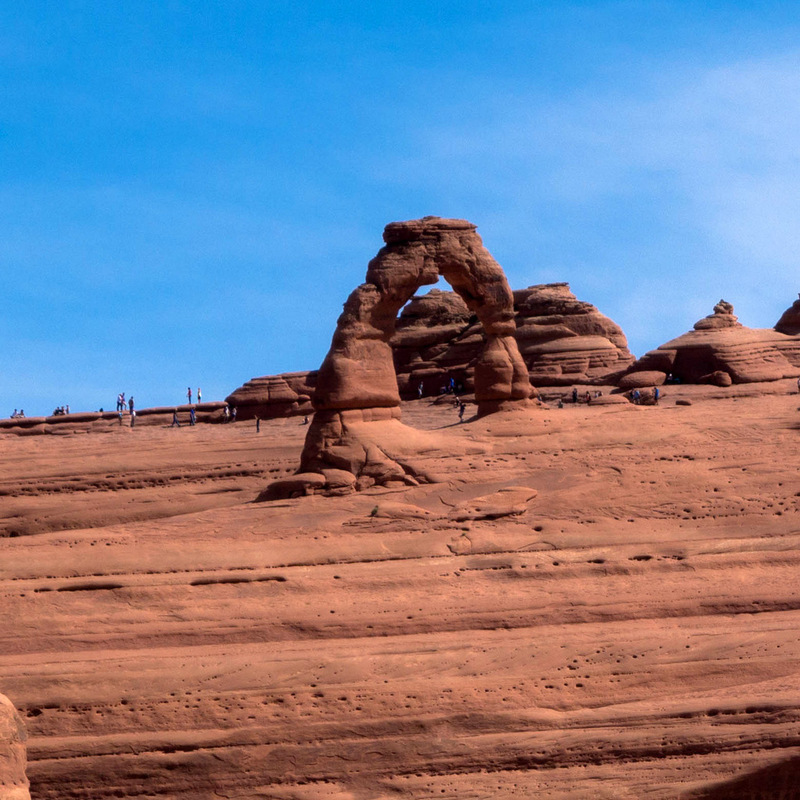 We’re wondering how long the drive is from Moab to Denver and do we need to spend the night there, in order to see the arches. It’s great to ask someone who has experienced this already. Thank you! Thanks for the question! We left Phoenix around 8 am, and we arrived in Moab right before / at sunset. We drove into town and it was sill light outside and we found a cool Italian place for dinner. The Moab to Denver driving time is 5 hrs and 30 min. We plan to spend three days in Sedona. Any suggestions on hikes? We are planning a trip from Phoenix to Denver this summer, probably August. I love the route you mapped out and describe taking from Phoenix to Moab. I can’t seem to locate where you describe the 2nd leg of your trip from Moab to Denver (or back to Phoenix through New Mexico)? Yeah, that’s because I haven’t finished writing those guides. Drive through the Rocky Mountains and enjoy the awesome views. There are dozens of awesome places to stop along the way and enjoy the scenery. We headed south through Colorado Springs and into New Mexico. Not much to do along this road, unfortunately. We had dinner in Albuquerque, NM the first night. The second day we were back in Phoenix. Do you have the map? We live in tempe and want to go during fall break, 2nd week in October, we will have the 6th through the next weekend. I am looking to spend a week or two in Arizona for the first time touring the area. My wife and I are 60 and would like to spend 4 or 5 days in two different locations. The major destinations in Arizona are: Phoenix, Flagstaff, Sedona, and The Grand Canyon, and Tucson. If a trip to the Grand Canyon is in the plans, maybe try hitting up Sedona on the way. 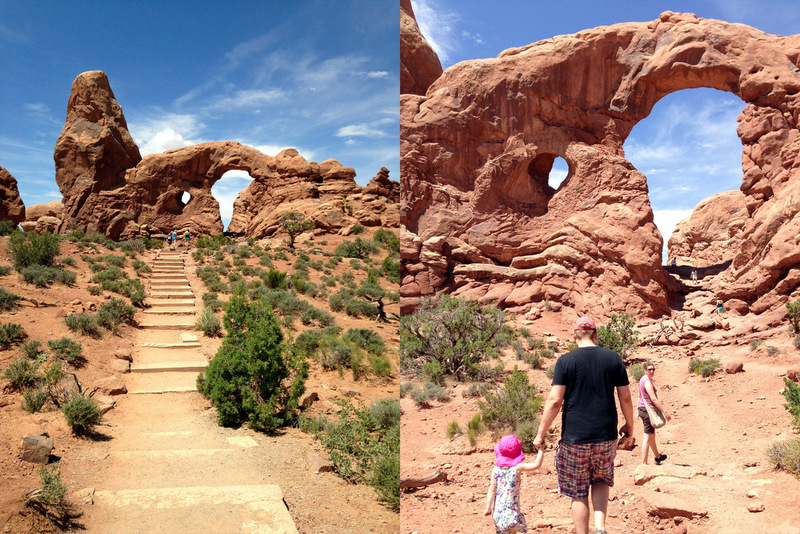 We really liked Arches National Park. So, I’d highly recommend that. We did this exact trip last June. If you don’t have time for Arches, you could possibly consider just browsing around Flagstaff, AZ. Lots of shops and restaurants. There’s always Sedona, AZ. That’s south of Flagstaff. But, only attempt that if you’re making good time. You can probably drive through the Four Corners area, and cross that off, then drive through Painted Desert & Petrified Forest on the way south. That would be what I’d do. You’ll see a lot!